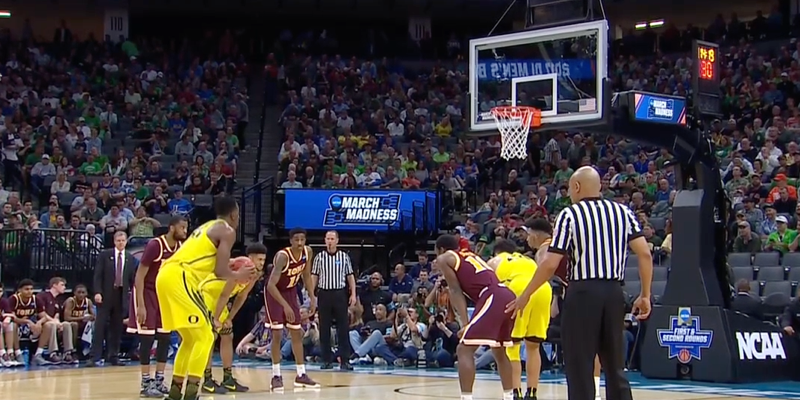 Yes, Oregon is playing Michigan for a spot in the Elite 8. But for a couple moments let’s look at the trajectory of Oregon’s program under Dana Altman. Altman is on his way to being a Hall-of-Fame coach. One Final Four or one national title and he’s almost assured of it. At the pace he’s on, if he coaches another 10 years he’d retire with about the 8th most wins all-time. And all of his wins have been amassed at Creighton and Oregon. Not exactly the Blue Blood programs of Kentucky, UNC, Duke, Indiana or Syracuse who would be above. For years, Altman and his staff scoured the country for 5th-year seniors and Juco transfers to go with the one or two high schoolers they could land. And they succeeded. Elgin Cook, Jason Calliste, Mike Moser, Devoe Joseph, Chris Boucher and many others have thrived in his system. But it looks like this won’t be the case in the future. 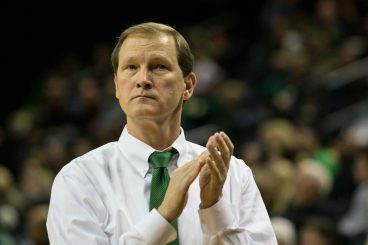 Dana Altman constantly encourages the Ducks as they change defenses – sometimes even during the same mid-possession. Oregon’s now stocked with young players who may even have to wait their turn to play significant roles for the Ducks. Keith Smith and MJ Cage are perfect examples. Smith might have been the 6th man on many of Altman’s earlier Oregon teams. This year he was the 8th or 9th man until Boucher went down. Smith has a chance to be a very good – if not terrific player – for Altman. And he’s only a freshman. Payton Pritchard’s performance as a true freshman speaks for itself. His decision-making, as well as his shot, is only going to get better. The shot is the one skill that almost always improves year-to-year. Pritchard’s a gym rat so his shot will get even better, which is scary. Cage will show up next year and could be a strong complementary player up front alongside Jordan Bell and Brandon McCoy (if he chooses Oregon). Paul White is a guy nobody talks about, but he was one of the nation’s top 50 players in high school. He’s got a ton of skill and at 6’7″- 6’8″, he can be a bigger version of Dillon Brooks. His injury may hamper his minutes early as he works himself back into the physical intensity of real games, but he gives the Ducks a ton of versatility, and he’ll have 3 more years at Oregon. So the Ducks will have three more players in the mold of Dillon Brooks next year. White, Smith and Troy Brown. Brown is a 5-star player who will absolutely light it up wherever he plays. Put him in Dylan Ennis‘ spot for now but he can literally play 4 positions at the college level. And with Altman’s desire to create mismatches he’ll surely be given a chance. 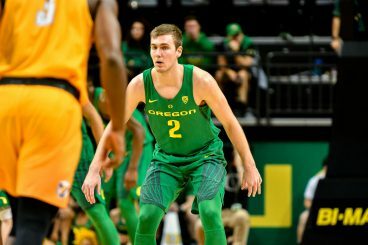 Oregon will have two point guards in Pritchard and Casey Benson and we know Pritchard can play the 2 as well as needed. They’ll likely have Tyler Dorsey returning, and up front they’ll have Kavell Bigby-Williams, likely Bell and possibly McCoy. And then there’s VJ Bailey, a combo guard who can leap out of the building and has the defensive mindset of Ennis. And Abu Kigab, a 6′ 6″ forward, unafraid to compete, can lead the break, has good passing skills and his deep jumper is very good - a forward with a ton of skills. Either Bailey or Kigab would start for most Pac-12 teams. Kigab is originally from Canada. Not real surprising is it? Barring a mass exit to the professional ranks in Europe and Asia, it is likely to be the most talented, experienced team Altman has ever brought to the first practice in October. Only Arizona is likely to have as much or more talent than Oregon next year and they’ll bring the nation’s longest home win streak to Matthew Knight Arena next November. If Oregon reaches the Final Four or even the Elite 8, nationally pollsters will be ranking them once again in the top 5 to start next season. Oh, and Altman’s staff now has 8 four- or five-star players with offers and strong interest in signing with Oregon in the next cycle. We now return you to the Elite 8.